So before anyone gets in trouble we are actually going to do the correct process and I am going to report on how it goes. So put the fires out under your stills for a little while. Driver’s license – a .jpg scan works. Diagram of where the alcohol fuel plant is located. Include structures, streams, and property lines. It needs to be a secureable structure. Lease or ownership document – I provided the first page of my last refinance. Next you will need to get an Employer ID number for the application. Yes. You have to have it! You can get it online here ( link ) if you don’t have one either. First you need to fill out the Application for Owner and Officer Information section. It’s pretty painless. Then you need to fill out an Application for New Alcohol Fuel Plant (Small, Medium, or Large). Just remember, a “distilled spirits plant” is different from an “alcohol fuel plant”. I called and asked. Once your documents are uploaded it’s just a matter of sitting back and waiting. Well, I am sixteen hours into my quest for an Alcohol Fuel Plant permit from the federal government and my case is already under review. I received an email notification this morning. So far so good. My Alcohol Fuel Plant permit was electronically delivered today. I have to give the government credit. That was a pretty smooth and painless process. Now I can get some real mash going and start playing with stills! For our experiment we are going to do the more difficult starch process with corn. My goal is to produce ethanol fuel with only materials I can grow on the farm plus yeast. Since it is winter and my corn crop failed last year, we will use with some common deer feed(dent) corn from Tractor Supply and grocery store corn meal. The first step is to malt the corn. Malting simply means sprouting. 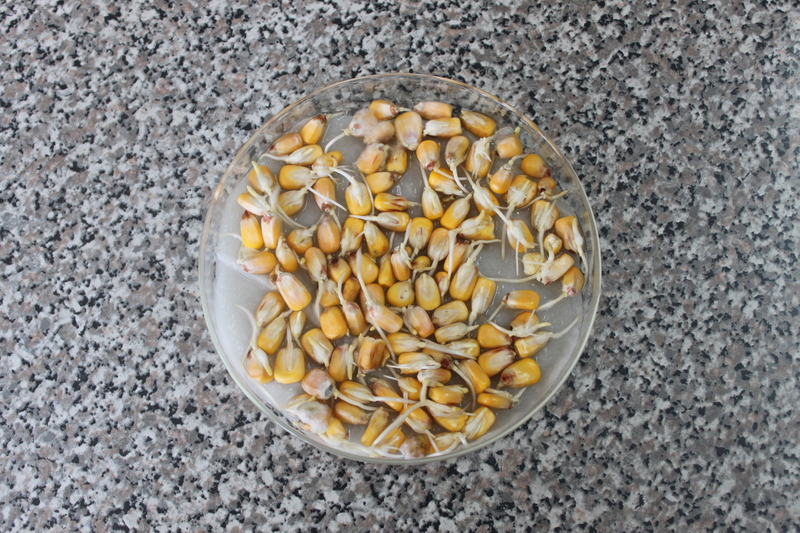 We sprout the corn so it produces the enzyme amylase. Amylase will convert the starches in the feedstock to sugars that the yeast can convert to alcohol. 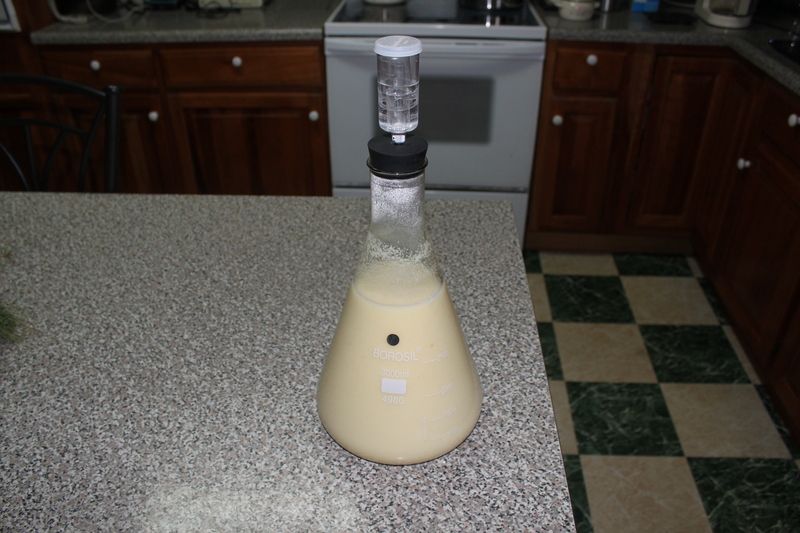 Yeast can not consume starch. This seems to be a big point of confusion on the internet. 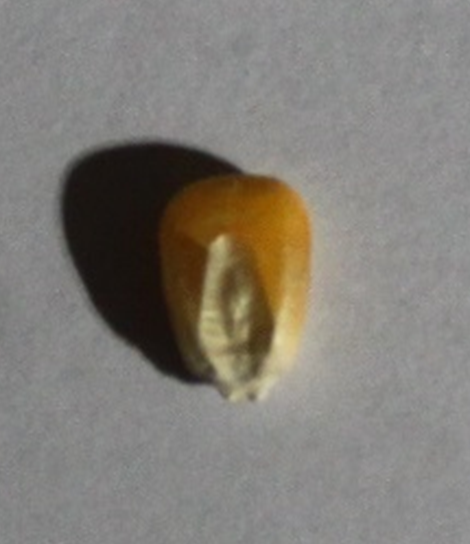 Corn kernels are just seeds for making new plants. Before the new plant makes chlorophyll to convert sunlight, carbon dioxide, and water to sugars for food it needs to rely on the starches in the seed for energy for cellular metabolism. That means the seed needs to use respiration and take in oxygen for the cells to reproduce and grow. This led to one of my first mistakes. DO NOT(!!) try to sprout the seeds by just dropping them in a bottle of water. The seeds will drown and fail to sprout. 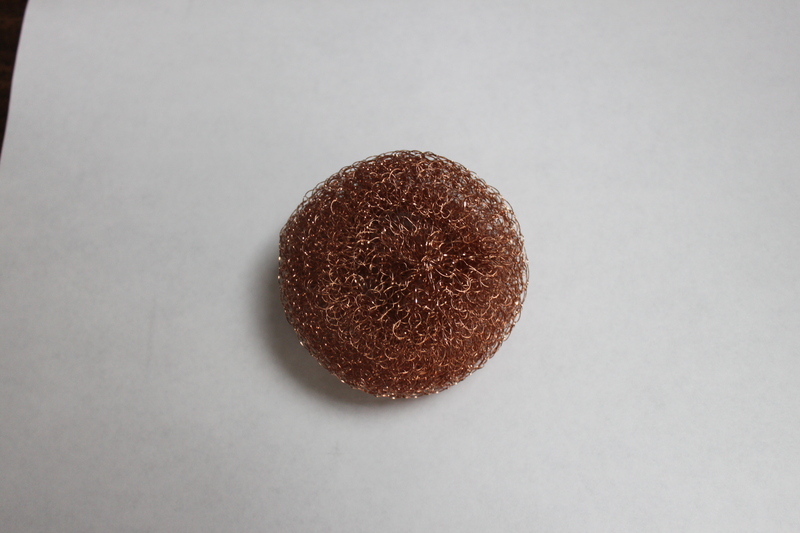 The way I like to sprout my seeds is to place them on an absorbent material in a single layer. Using a single layer avoids any heat buildup that might occur. Below is my malt corn after five days in a covered petri dish on a wet paper towel. 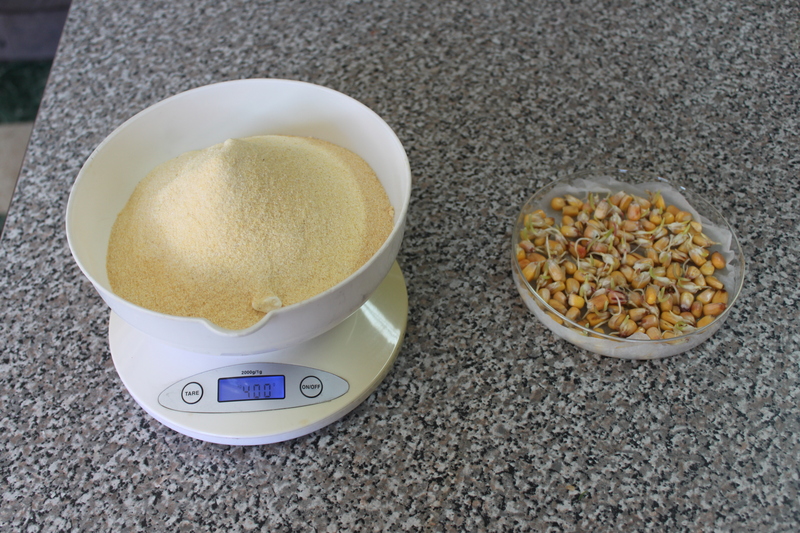 The initial weight of the dry corn was 40 grams. 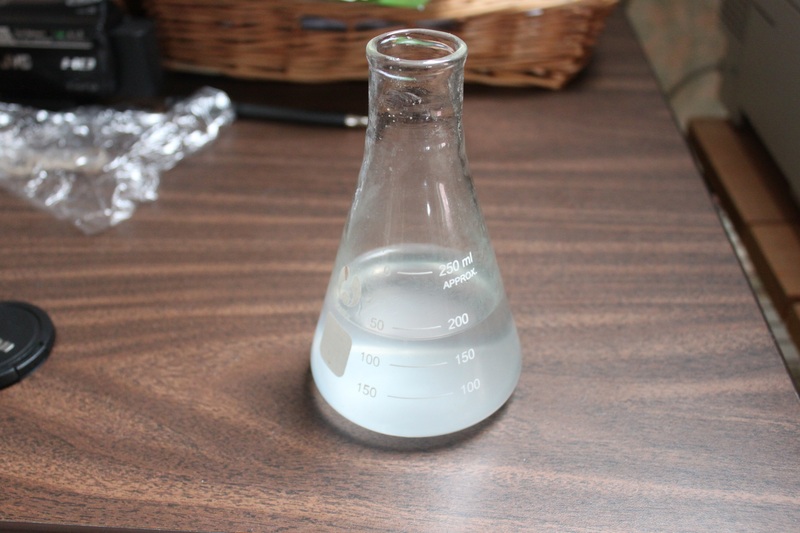 The next step is to prepare the main feedstock that we will convert to alcohol. Since I am too lazy to dig out my grain mill to grind deer feed I used common cornmeal. One thing to realize about enzymes is that by definition they are NOT consumed in the chemical reaction that converts the starches to fermentable sugars. Theoretically you could use a drop of amylase to convert a tractor trailer full of corn meal. Obviously this isn’t reality. After a while the enzymes do “wear out” and stop reacting. According to the Alcohol Distiller’s Handbook, the ratio of malt corn to feedstock should be more than 6%. Since this was my first run I decided not to push my luck and used 400 grams of ground corn meal or 10%. The next step in the process is to hydrolyze the feedstock. Hydrolysis is simply boiling the feedstock to soften it and get as much starch in solution as possible. This makes the starches attackable by the amylase. It does not convert the starches to sugars. This seemed to be another bit of internet confusion. 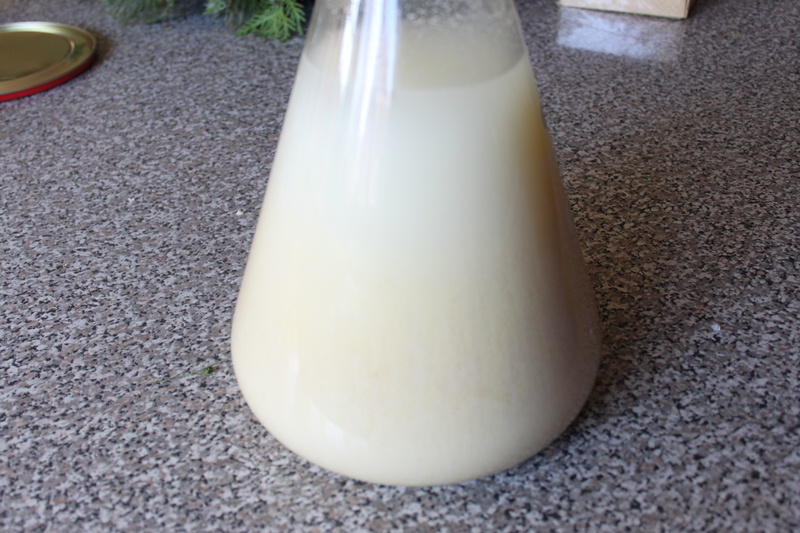 In a large pot I mixed 400 grams(2.5 cups) of corn meal with four liters of water(approx. one gallon) and brought it to a boil stirring constantly. Once the mixture bubbled while being stirred I removed it from the heat. Time is not important for hydrolysis only temperature is. The consistency was similar to thick gravy so I would not use any less water or you will likely have scorching. The next step is to cool the mash below 152F(67C). This is so the amylase is not destroyed by excessive heat. At 131F(55C) I added my malt corn that had been blended in 200ml of water. The malt corn is blended to smash the kernels and release the amylase into solution. I did not dry or remove the sprouts from the malt corn. It all just went in the blender. I also added one package of Safbrew S-33 yeast from my local natural foods store. In hindsight common bread yeast would have been fine. I added a water lock and the mash merrily fermented for four days. By the fourth day the bubbling had slowed noticeably and the corn meal began to fall out of solution and settle on the bottom. 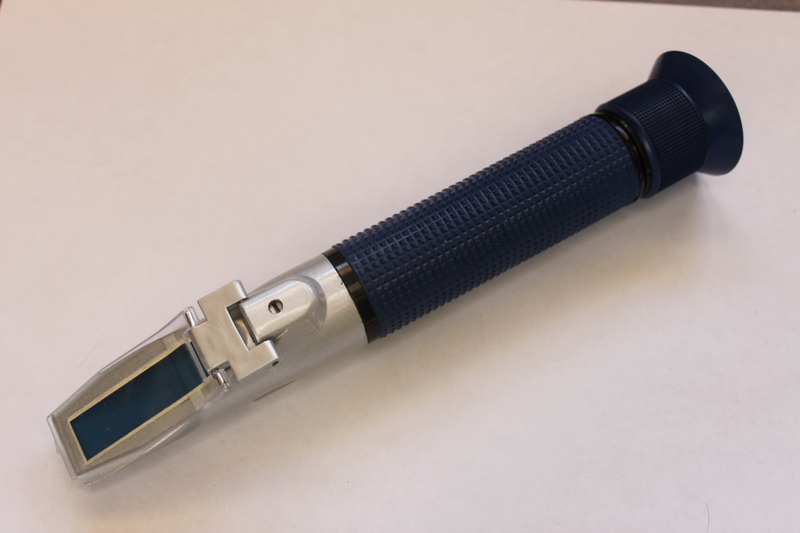 A refractometer is a tool that measures alcohol content in a solution by how much light bends as it passes through the liquid. My mash measured 5% alcohol assuming that the instrument wasn’t affected by any other dissolved material. That means 440g of corn yielded 200ml of pure ethanol. A commercial ethanol plant with a purely conventional process like this will yield about 2.8 gallons(10.6 liters)s of pure ethanol for every bushel(56 pounds or 25.4kg) of corn. If I do a quick ratio based on those numbers, I should have gotten 183.6ml. Not too bad for a first timer. Please note, nowhere in this recipe did I add sugar. All the sugars for fermentation came from converted corn starch. The next step will be to go out to my shed(alcohol fuel plant), distill the mash, and denature the product. Remember, we are playing by the rules so we don’t end up with any legal hassles. After procrastinating over the cold I warmed up the shed and distilled the mash. The first thing I did was mess it up. I expected some foaming so I added vegetable oil to the mash to keep the foam down. Even with the oil it still blew foam into the condenser as soon as it started to boil. That ended that. Undeterred, I made a second batch of mash and went out to try again. 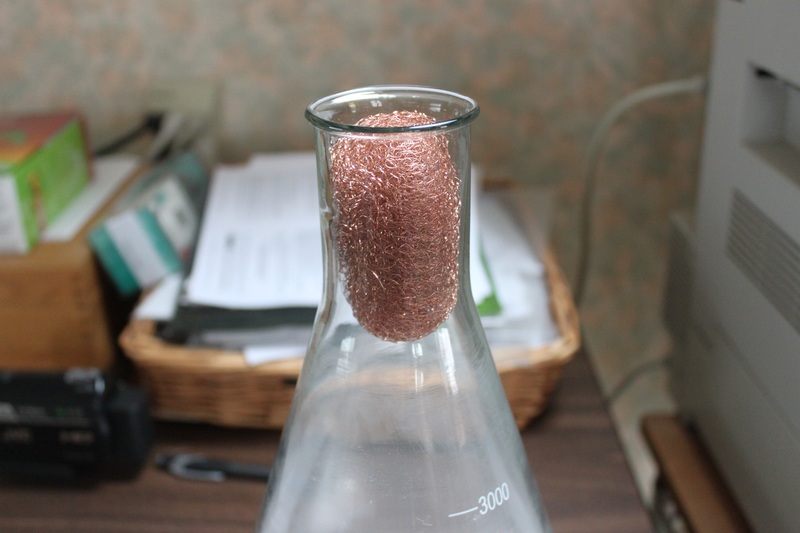 From the first attempt I saw that the bubbles would burst upon contact with any surface so I placed a Scotch Brite soap free copper plated wire scouring pad in the neck of the boiling flask. This worked MUCH better. The bubbles would touch the pad but couldn’t boil through it. The product coming off had an initial concentration of 25% alcohol from a mash at 5%. I am guessing that I would have to boil off 20-25% of my initial mash volume and then redistill that concentrate to have a chance of getting anything flammable from my laboratory scale pot still. The distillate was cloudy from mash droplets that got entrained in the exiting vapor flow. This shouldn’t be a problem at the second distillation. Yes. There is 2% gasoline in this weak ethanol so it could leave the shed. I am getting closer to giving my lawnmower cirrhosis.